The next time you tell a colleague that you’re going to run something up the flagpole or touch base offline about synergy and ideation, reconsider the impact of “business speak” and language in general. Clarity of thought produces clear communication. In a process known as neuroplasticity, language affects the way your brain maintains itself. Visualizing future positive actions triggers brain activity with a lasting positive impact on the capacity for self improvement. Working in an environment dominated by business speak and corporate jargon also affects your brain. Tough-talk metaphors lead people to believe winning is everything. Vague, jargon-filled pronouncements lead to imprecise thinking. All of these verbal habits can affect your state of mind and your ability to communicate. 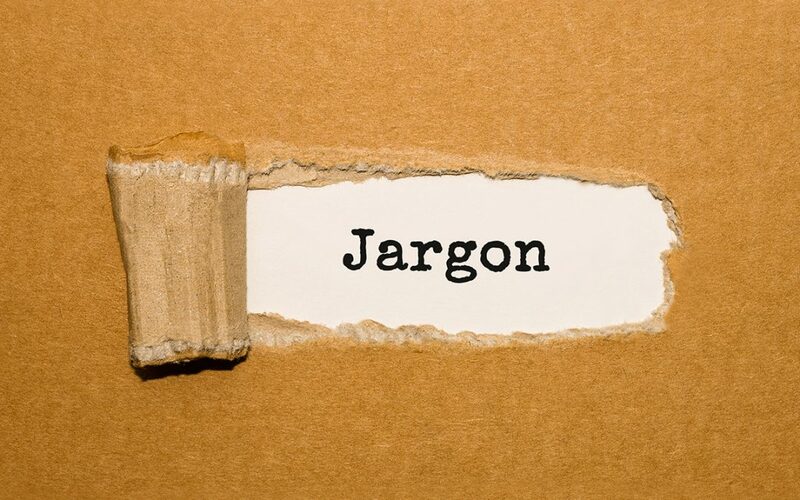 The jargon of business speak began during serious attempts at business reform. In the early 20th century, assembly-line factories dominated industrial production. Mechanical engineer and efficiency expert Frederick Winslow Taylor wrote The Principles of Scientific Management, the century’s most influential work in its field. The son of wealthy Quakers, Taylor used what he called “scientific management” to increase industrial performance. “Taylorism” pioneered industrial engineering, breaking assembly-line work into its smallest units of activity to eliminate wasted motion. This approach treats employees like cogs in a machine. A few decades later, sociological experiments revealed that workers who thought their bosses paid attention to them as people did better at their jobs than those who were treated like interchangeable parts. This focus on workers’ social and psychological needs blossomed during World War II as a way to understand culture’s role in authoritarian societies. U.S. corporations emerged from the 1940s as big conglomerates in which workers once again felt disconnected from where they worked, prompting a renewed interest in creating an emotional environment conducive to maximized profits. The 1950s spawned organizational development theory, which viewed employees as self-motivated performers who operate well in an atmosphere of trust. This world view fit the prevailing culture of the 1960s and its focus on personal fulfillment. Surrounding these ideas, a vocabulary of buzzwords began to build. “Synergy,” “paradigm shift” and “disrupt” all arose as business speak during the early 1960s. Consultants took on a focal role as corporations and organizations attempted to adopt organizational development. The use of “resources” to describe employees came from the influential consultant Peter Drucker, author of the 1954 book The Practice of Management, who teamed with General Electric’s Jack Welch to overhaul GE’s organizational culture in the 1980s. Welch’s “Work-Out” program addressed the process of speeding up business problem solving and applied its own terminology to various aspects of the process. “Low-hanging fruit” emerged from Work-Out’s vocabulary. After AT&T’s breakup into so-called “Baby Bells,” Pacific Bell introduced the management philosophy of consultant Charles Krone, who believed that the use of specialized vocabulary improved organizational health. Instead of enhancing employees’ attitudes and communications, however, “Kroning” increased the reliance on jargon. No one outside Pacific Bell could understand what its insiders said. Inside the corporation, the humanistic-sounding focus of Krone’s philosophy rested atop a “my-way-or-the-highway” approach. The comic strip “Dilbert” emerged from Pacific Bell culture, the creation of a computer programmer who lampooned the management speak he heard at work. Krone’s philosophy fell out of use, but not its jargon. Other consultants brewed up a stew of terminology to make their insights look unique and add a veneer of pseudo-science to their theories. Consultants also introduced HR’s glossary of terms for human capital, designed to promote a focus on efficiency instead of on individual value. The world of finance lost its focus on worker satisfaction during the aggressive increase in Wall Street power and influence of the 1970s and 1980s. Many financial concepts, such as leverage and value addition, moved into academia and the larger arena of the world of business. So at the end of the day, have an awesome aha moment about bang for the buck, and make the business case for circling back to transform core competencies as the focus of the cutting edge of corporate culture while you’re cross training your empowered employees to disrupt their workflow with deliverables that prove you’re an evolved game changer who’s fully on board with incentivized ideation. Just make sure you explore all your customers’ pain points with a paradigm shift that’s preplanned for outside-the-box thinking! Want to avoid vague language and even vaguer thinking? Let’s talk. We value direct, productive dialog about your best approach to marketing your business.